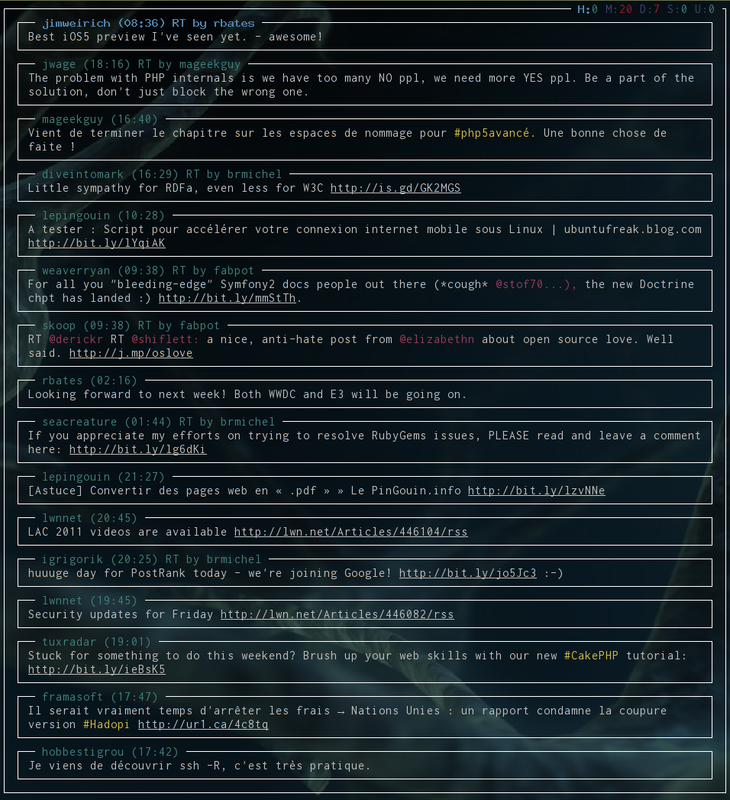 Tyrs is a Twitter and Identi.ca client based on ncurses. It is easily configurable. It allows you all basic manipulations such as searching, directly sending a message, and mentions. Tyrs let you configure all shortcuts, colors, and more parameters. Opens URL with just single key. Oh.. Just followed the README file. Got sorted out.